The eradication of some introduced pests such as rats, stoats and possums in New Zealand, seems increasingly feasible with a new national 2050 goal and action at the city level eg, Wellington. The primary benefits will be to native birds and enhanced biodiversity, as well as for agriculture (if bovine tuberculosis is eradicated nationally). But what about the spin-offs for public health? This blog starts to explore this issue and provisionally concludes that there are many potential health benefits from the eradication or near-complete control of these pest species. The recently announced plans for a “predator-free” Wellington City (1) are part of a long-term trend that has seen successful pest eradication on many of NZ’s offshore islands and in “mainland islands” (2). Within Wellington City there has also been the successful eradication of possums from the Miramar Peninsula (officially since 2006) and apparently successful rat control in the suburb of Crofton Downs (3). Indeed, the geography of Wellington is well suited for an incremental “learn-as-you-go” approach – with the initial plans being for rat and stoat eradication on the Miramar Peninsula, and proposals for pest-free campaigns in other suburbs. Although complete eradication of rats might be difficult in NZ cities, on-going control at ports and railway freight terminals could ensure at least some parts of a city remained practically free of these pests. The potential economic benefits from pest eradication are likely to be very large for NZ – especially if bovine tuberculosis can be eradicated (eg, (2)). These reasons have contributed to a NZ Government goal for national eradication of possums, rats and stoats by 2050 (4). Health benefits of eradicating these pests in NZ towns and cities? To inform what might be the health benefits of pest-free NZ towns and cities, we conducted literature searches, and considered a key text (5). Our estimates of the likely types of health benefits are summarised in the table below – albeit just starting with the target species being considered in Wellington City’s pest-free goal: rats, stoats and possums. Increased wildlife presence and visible/audible indicators such as bird density and birdsong levels will have psychological benefits for some people (6,7,8). In particular, hearing birdsong may have psychological benefits and it is increasingly being used for this purpose (9). Of note is that many NZ citizens seem fairly supportive of conservation given the presence of around 4000 conservation groups being cited as evidence for this (2). Social capital benefits Participation in collective community action to achieve pest-free suburb/city goals (eg, with home trapping and pest surveillance) is likely to build neighbourhood links and social capital. This is likely to have direct psycho-social benefits but may allow for better community response in emergency situations. These benefits could be hard to quantify – but researchers could consider studies on Miramar and Crofton Downs in Wellington. Potentially reduced risk of existing zoonotic diseases (ie, can infect humans) Diseases that are spread directly or indirectly by rats and which are present in NZ include: leptospirosis (10), salmonellosis (5), and murine typhus. The latter seems currently restricted to the Waikato (11), but probably includes Hamilton City (12). Possums can spread bovine tuberculosis which is a major concern to NZ agriculture, but there is probably still a small risk to human health in NZ (13). Both possums and rats in NZ are commonly infected with Giardia (14). Possums may also be infected with the zoonoses: Toxoplasma gondii, Cryptosporidium parvum, Salmonella typhimurium, and Yersinia pseudotuberculosis (5). But the likely total disease burden from such zoonoses for New Zealanders from transmission within towns and cities remains to be properly quantified. But there may be a counter issue with increased mice if rats are eradicated** (eg, mice in NZ are also commonly infected with Giardia (14); they also carry Leptospira and Salmonella (5)). Protecting the quality of roof-collected water Roof-collection of rainwater is being promoted as a post-disaster resilience measure (eg, in Wellington), but such water is often of poor microbiological quality in NZ with some of the above named pathogens (eg, Salmonella, Campylobacter, Giardia and Cryptosporidium; as reviewed here: (15)). Rats and possums are relevant to these risks – and so their removal would improve the value of such disaster preparations and for those households on urban fringes which use roof-collected water. But a pest-free city may have more mice,** birds, frogs, and lizards – all of which can impact on the microbiological quality of roof-water (15). Protection against future zoonotic diseases that might reach NZ With future climate change there is a plausible risk of new diseases reaching and becoming established in NZ. If some of these involve possums* or rats as hosts (with rats being implicated in a long list of zoonotic diseases (16)), then a city without such pests would be at lower risk. Eg, some NZ researchers have described Aedes notoscriptus mosquitoes feeding on possums (17). They also note that in Australia, these mosquitoes “are believed to spread Ross River virus (RRV) including from possums to humans, and it could potentially play a similar role in New Zealand” if RRV was established here. 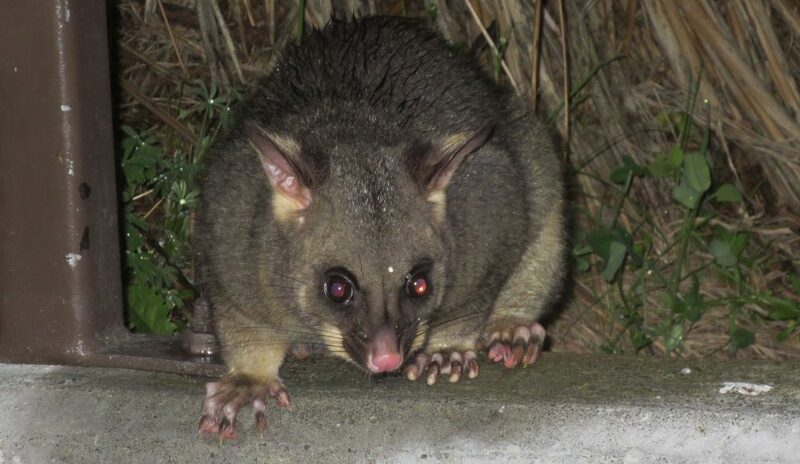 It is known that possums in NZ are infected with at least one arbovirus (Whataroa virus) (5). Reduced landslide and flooding risk Vegetation levels in cities may increase with rat eradication (rats eat seeds and buds), but especially with possum* eradication. This may help stabilise areas at risk of slips and reduce flooding risk via vegetation holding more rainfall and reducing the speed of run-off. The scientific literature does provide evidence that vegetation levels can reduce flood risk (discussed in: (23)). However many other factors influence the risk of floods and landslides eg, the level of paved surfaces in cities. Enhanced carbon sequestration Increased vegetation levels (as per the above) will tend to mean more carbon can be held in vegetation. This is relevant given that climate change is a major threat to global health. * Some NZ cities (eg, Wellington) have already achieved very high levels of possum control in built up areas with poisoning campaigns, hence the listed benefits of complete possum eradication might be somewhat limited in some cities. ** Mice populations might increase if rats are eradicated in cities (see the main text). Although predator-prey relationships are complex and often not well understood (24), the eradication of rats and stoats (along with the other mustelids: weasels and ferrets) is likely to allow the mice population to increase. While there is specific NZ evidence for rat control resulting in increased mice (25), the evidence is not necessarily fully relevant to urban settings. Nevertheless, this relationship may mean that some of the benefits of rat reduction listed in the table would be less than expected in a pest-free town or city. 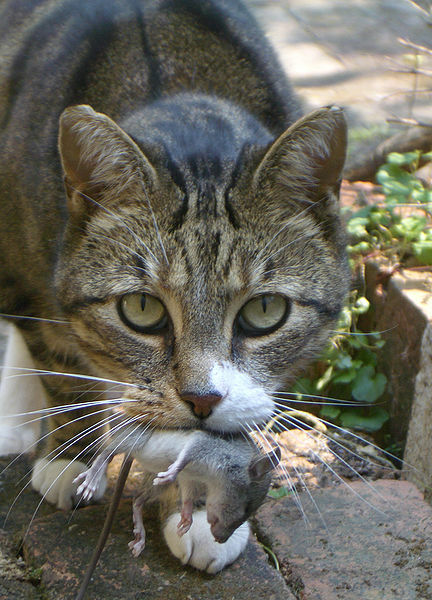 However, mice populations are also kept in check to some extent by predation from urban cats and by various NZ birds (eg, morepork/ruru and kingfisher/kōtare (5), both present in some NZ towns and cities). Weka prey on mice (5), and if these birds were successfully re-introduced to pest-free urban areas, then they would help limit mice populations. But weka would also have potential nuisance impacts on urban gardens, as can kaka. The eradication of rats, stoats and possums will almost certainly favour growth in the bird population in a pest-free city. A potential downside here is that birds can themselves spread zoonotic diseases. For example, an outbreak of salmonellosis in humans has been linked to contract with dead sparrows in NZ (among other risk factors) (26). Nevertheless, this risk could be fairly easily dealt with by teaching children not to handle dead birds and more intensive efforts to keep birds off outdoor café tables etc. It is likely that trapping will continue to be a key mechanism for pest removal and maintaining border protection and so citizens using some forms of traps may be a risk of hand injuries. If this turned out to be a significant problem, then there might be a case for eliminating hazardous trap designs or greater use of professionals when such traps are used. Adding in other pest species to city-focused eradications? Ultimately it might be desirable to also eradicate feral goats around some urban areas (and this has already been occurring in the wider Wellington Region (27)). There are likely potential public health (23) and environmental benefits from eradicating feral goats (and also feral deer and feral pigs in some areas). Similarly, eradicating feral cats may be desirable for reducing the risks of toxoplasmosis in humans and its spread to sheep in farmland around urban areas (5). Measures to reduce the emergence of new feral cats (from domestic cat populations) are therefore worth considering. A key step would be for a national law or Council requirements that all domestic cats are microchipped, to allow for identification and control of feral cats. There appear to be many potential public health advantages of eradicating possums, rats and stoats. Further research on this topic is warranted so that such health benefits can be better quantified. These benefits could also be considered in any cost-benefit analyses that precedes the goal of creating other pest-free towns, cities, or districts in NZ. Wellington City Council (WCC), Greater Wellington Regional Council (GWRC), and NEXT Foundation, Wellington aims to become the first Predator Free capital (Media Release 26 September 2016). http://www.scoop.co.nz/stories/AK1609/S00855/wellington-aims-to-become-the-first-predator-free-capital.htm. Russell, J., et al., Predator-Free New Zealand: Conservation Country. BioScience, 2015. 65: p. 520-525. Wannan, O., Pest-free Wellington spreads beyond fence. Stuff (3 December 2015). http://www.stuff.co.nz/environment/74641090/Pest-free-Wellington-spreads-beyond-fence. Kirk, S., Government sets target to make New Zealand ‘predator-free’ by 2050. Stuff 2016;(26 July). http://www.stuff.co.nz/environment/82454116/government-sets-target-to-make-new-zealand-predatorfree-by-2050. King, C.M., (Editor). The handbook of New Zealand mammals (Second Edition). 2005, Melbourne: Oxford University Press. Fuller, R.A., et al., Psychological benefits of greenspace increase with biodiversity. Biol Lett, 2007. 3(4): p. 390-4. Shanahan, D.F., et al., Health Benefits from Nature Experiences Depend on Dose. Sci Rep, 2016. 6: p. 28551. Keniger, L.E., et al., What are the benefits of interacting with nature? Int J Environ Res Public Health, 2013. 10(3): p. 913-35. Winterman, D., The surprising uses for birdsong. BBC News Magazine (8 May 2013). http://www.bbc.com/news/magazine-22298779. Hathaway, S.C., D.K. Blackmore, and R.B. Marshall, Leptospirosis in free-living species in New Zealand. J Wildl Dis, 1981. 17(4): p. 489-96. Lim, M.Y., et al., Seroprevalence of antibodies to Rickettsia typhi in the Waikato region of New Zealand. Epidemiol Infect, 2016. 144(11): p. 2283-9. Sekra, A., J. Irwin, and P. Reeve. Urban rickettsiosis in the Waikato region of New Zealand. N Z Med J, 2010. 123(1315): p. 71-4. Baker, M.G., et al., Continuing Mycobacterium bovis transmission from animals to humans in New Zealand. Epidemiol Infect, 2006. 134(5): p. 1068-73. Marino, M.R., et al., Giardia intestinalis in North Island possums, house mice and ship rats. N Z Vet J, 1992. 40(1): p. 24-7. Stewart, C., et al., Health Hazards Associated with Consumption of Roof-Collected Rainwater in Urban Areas in Emergency Situations. Int J Environ Res Public Health, 2016. 13(10). Centers for Disease Control and Prevention, Diseases from rodents. (Page updated on 29 July, 2010). http://www.cdc.gov/rodents/diseases/index.html. Derraik, J.G., W. Ji, and D. Slaney, Mosquitoes feeding on brushtail possums (Trichosurus vulpecula) and humans in a native forest fragment in the Auckland region of New Zealand. N Z Med J, 2007. 120(1266): p. U2830. Wilson, N. and D. Lush, Bioterrorism in the Northern Hemisphere and potential impact on New Zealand. N Z Med J, 2002. 115(1154): p. 247-51. Drummond, D., Rodents and biodeterioration. International Biodeterioration & Biodegradation, 2001. 48: p. 105-111. Howden-Chapman, P., et al., Effect of insulating existing houses on health inequality: cluster randomised study in the community. BMJ, 2007. 334(7591): p. 460. Chapman, R., et al., Retrofitting houses with insulation: a cost-benefit analysis of a randomised community trial. J Epidemiol Community Health, 2009. 63(4): p. 271-7. Sharpe, R.A., et al., Indoor fungal diversity and asthma: a meta-analysis and systematic review of risk factors. J Allergy Clin Immunol, 2015. 135(1): p. 110-22. Wilson, N., et al., Public health aspects of feral deer, goats and pigs in New Zealand: A review to inform eradication decisions. NZ Geographer, 2015. 71: p. 177-188. Ostfeld, R. and R. Holt, Are predators good for your health? Evaluating evidence for top-down regulation of zoonotic disease reservoirs. Front Ecol Environ, 2004. 2(1): p. 13–20. Ruscoe, W.A., et al., Unexpected consequences of control: competitive vs. predator release in a four-species assemblage of invasive mammals. Ecol Lett, 2011. 14(10): p. 1035-42. Thornley, C.N., et al., First incursion of Salmonella enterica serotype typhimurium DT160 into New Zealand. Emerg Infect Dis, 2003. 9(4): p. 493-5. There is an irritating slide in all discussions on this issue between the actual stated goals (see below) and some pie in the sky vague idealistic idea that all of N.Z. could be made entirely predator free by 2050 (i.e. 34 years from now). Even these goals are extremely optimistic (particularly the second), and there is a massive leap from these goals for 2025 to a completely predator free NZ by 2050! My feeling is that the whole issue is being massively talked up in an effort to create an economically viable industry for ongoing pest eradication attempts. I guess I am uncomfortable with that. I would prefer to keep it real.